This is by far the most sedate of the blocks I’ve pieced so far. I played with the idea of using a green in place of the grey, but it just didn’t feel right. It’s brighter in person, but I didn’t feel like waiting until morning to snap a shot. Find my paper-piecing templates here. 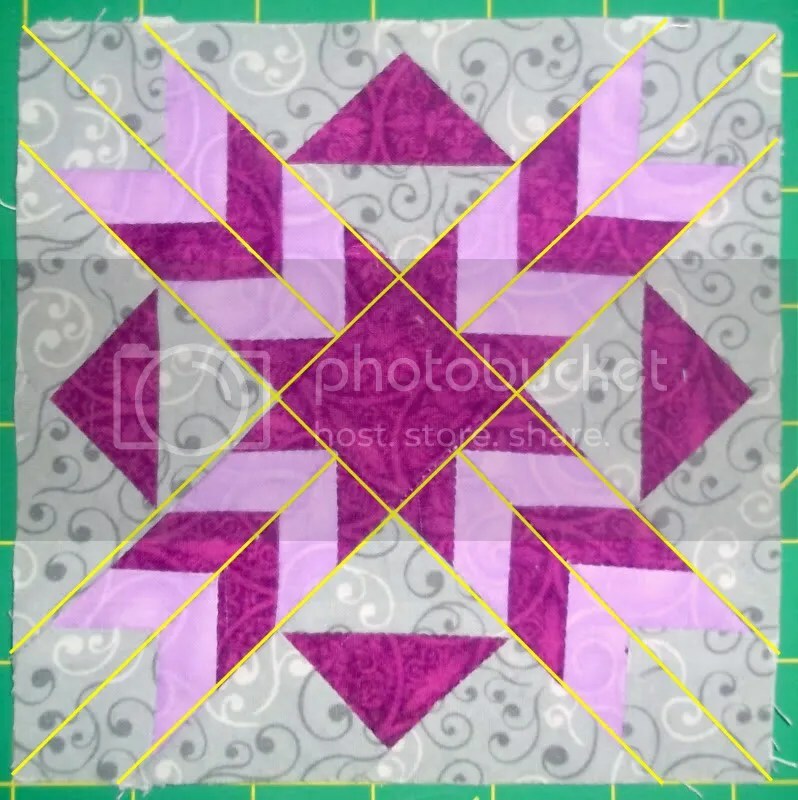 I’ve arranged the sections to make for easier piecing. Having said this, this block can be painful if not done with careful planning. The above illustration shows your initial groupings. There are lots of smaller pieces. Trim your seams on the back to the 1/4″. Don’t leave a lot of fabric where it’s not needed. You’ll have bulk where you don’t want it. Once you have your initial sections pieced, you’ll want to put together the above three sections. Now, guess what? Take the paper off before you put the whole block together! There’s way too much bulk if you keep the paper on. Also, pay attention to how you press your seams. This block works much easier if you nest your seams.